Zeljko Obradovic expressed his complaints regarding what he considers to be a poor attendance in Fenerbahce’s games. 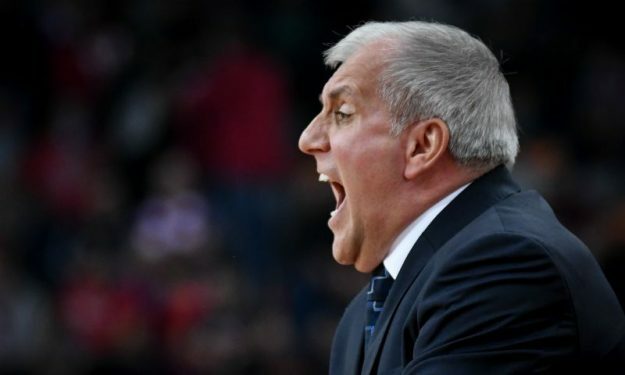 Fenerbahce head coach Zeljko Obradovic commented on the fans’ attendance of the game between his team and Pinar Karsiyaka plus the supporters’ presence in EuroLeague matches, saying that he wants to see a “full arena” in the future. “I want to talk about fans. Understand our situation and support us,” a visibly upset Obradovic said during the post-game press conference. “We have the game against Milano ahead of us. Before that, we are going to play against Panathinaikos and İstanbul Buyuksehir Belediyespor. We want them to continue the support that they gave us over the years. We are ninth in attendance in EuroLeague. Is that a message that our fans gave us? Do they want us to be at that spot? If we want to fight for everything, we need our fans to support us. Not 7,000 – 8,000 people. A full arena. My players deserve that. From now on I want to see that. Not in Euroleague but in all games. With the things that my players did this year and in the past years, they deserve this support.